Katy, Sara and Amy are my last three guests in the Nested Churn Dash blog hop. Once again I am inspired by such diversity in each quilters choice of fabrics. 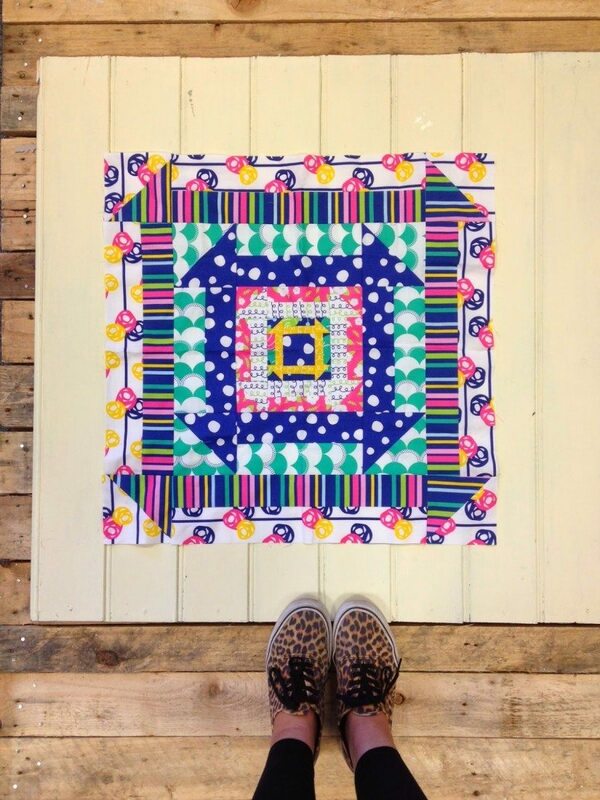 Katy Jones aka ImAGingerMonkey, is a dynamic quilter and blogger who has dazzled us with vibrant quilts, cushions and fabulous shoes. In short time I have known Katy I found her to be generous, hard working and always encouraging, not only for me but everyone that is privileged to know her. Katy has used fabric from Caroline Hulse’s Gleeful collection for Art Gallery Fabrics. Amy Smart, is the talent behind A Diary of a Quilter. She is one of the Aurifil 2014 Designers, pattern maker extraordinaire and author of Fabulously Fast Quilts. Amy’s website is full of wonderful tutorials and project ideas. 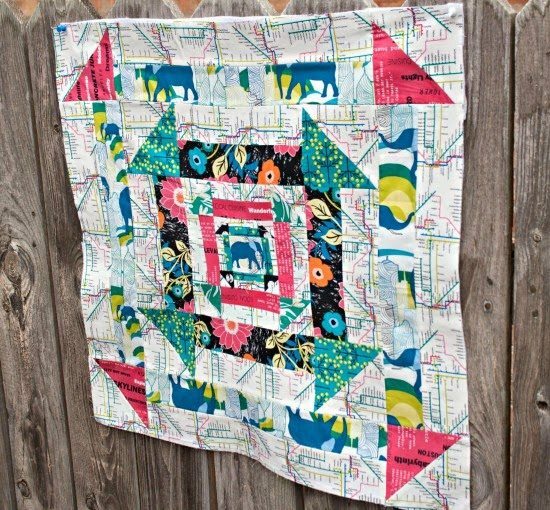 The block Amy has created is made up of a treasure trove of fabrics from her scrap box. I love the little matryoshka dolls in the centre block. Amy’ s post is here. Sara Lawson, SewSweetness, is just as her addy describes. Sara is a kind and sweet person who is a master of apparel and bags. My favourite of Sara’s bag patterns would be the Aeroplane bag. I can think of no better way to travel than with a classy piece of Sara Lawson inspired luggage. This year, Sara released her first fabric collection with Art Gallery Fabrics, Jungle Ave. The same fabric Sara has chosen to use for the block. The subway fabric is perfect for the background. 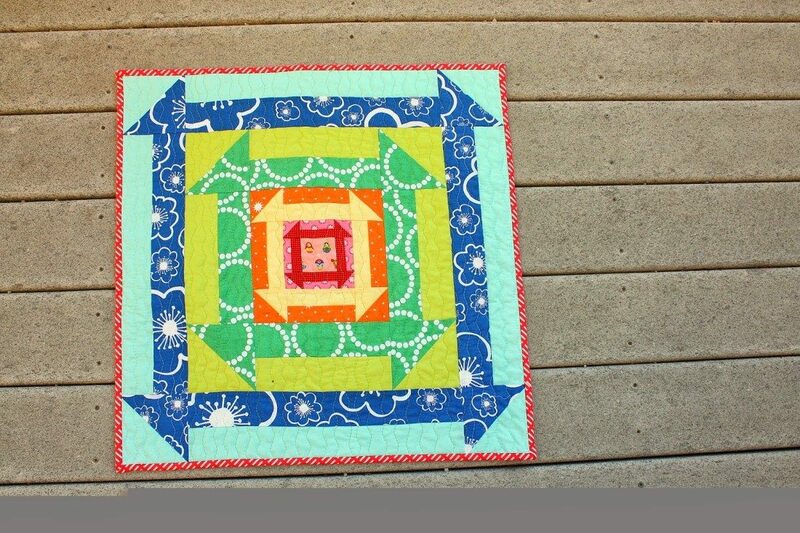 Next up in the QAL posts I will be talking about putting your quilt together. I just wanted to thank you for the Nested Church Dash pattern on Craftsy. I have made 3 blocks and they are sew much fun! I also appreciate the $2.00 fee. some designers ask too much I think and would sell more if they kept their costs down a bit. Especially for a PDF. Again thanks!